Superdry women’s Bianca slip dress from the Dark Romance collection. 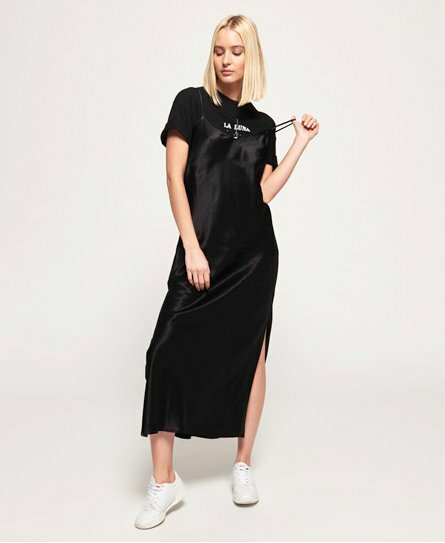 This limited edition slip dress is sure to take your everyday style to the next level. Wear on its own or layer over a t-shirt for a look that’s oozes everyday glamour. Featuring spaghetti straps and crafted from lightweight satin, the dress is completed with split side seams.